Former NBA super star Dennis Rodman has made lot of international headlines this week after he became the first American to visit with North Korean dictator Kim Jong Un. Maybe Rodman is looking into becoming a diplomat as a full time career because "The Worm" is pretty much flat broke. 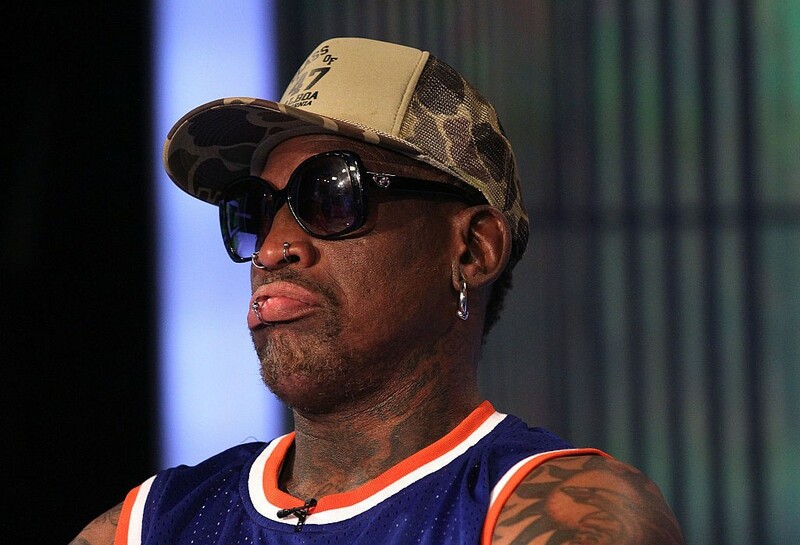 News of Rodman's financial troubles came last year when "The Worm" revealed to a judge that he was too broke to pay the $800,000 he owes in child support. This is especially shocking when you consider the fact that Rodman made nearly $27 million during his NBA career and millions more off the court from endorsements and media appearances. Rodman's ex-wife Michelle Rodman filed for the the money in an attempt to collect $808,935 in child support plus an additional $51,441 in spousal support. Rodman's attorney responded with a simple but effective response: "Respondent Dennis Rodman is broke and cannot afford any additional fees." His attorney went on to say that Rodman is "sick" (which was later clarified as a reference to Rodman's addiction to alcohol) and not making as much money as he used to. In the years 1996 and 1997, at the peak of his career with the Chicago Bulls, Rodman was making $9 million a year. And that's just from basketball, it doesn't begin to account for all the money he amassed through his numerous endorsement deals and even a brief career as an actor! In case you've forgotten about Rodman's Hollywood stardom, here's a refresher: Always a flamboyant presence on and off the court, it seemed a natural fit when he made his movie debut in Double Team, a massive blockbuster also starring Jean-Claude Van Damme. He also had several big endorsements and other media appearances including a relationship with the world of professional wrestling and his participation in Celebrity Apprentice. It's tough to say exactly how much money Rodman has blown through since his basketball peak, but the sad truth is he would need to come up with a million bucks just to break even at this point. It's not known how Rodman is going to respond, but there's a chance he might do jail time for failure to pay.